Parcel bundling reduces shipping costs, and it's FREE with MyUS! MyUS offers 100% free package bundling for all Premium members, unlike most shipping companies and freight forwarders. 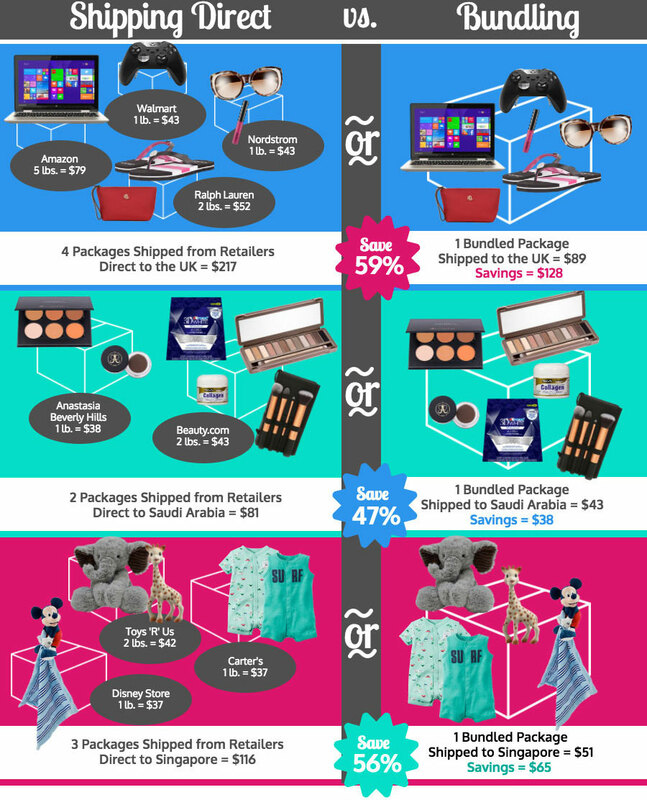 See below just how much MyUS members save by bundling their shipments with MyUS. When you're a MyUS Premium member, you'll receive free parcel consolidation and repacking. Our members save an average of US$360/year by using our free package consolidation service. We work hard to make international shopping easy, and save you as much as possible on international shipping. Join the hundreds of thousands of happy MyUS members today by signing up here. * This information is for illustrative purposes only. Your costs may vary based on items purchased, delivery, exchange rates, duties and taxes, as well as other variables.